Two new coal-fired power plants being built in South Africa, which will be the continent’s largest once completed, are “badly designed and badly constructed”, public enterprises minister Pravin Gordhan said as the country reels under a third day of rolling blackouts. State-owned power utility Eskom “encapsulates the challenge of where developmental state institutions can go wrong”, Gordhan told lawmakers in Cape Town on Tuesday. The utility cut electricity supplies to prevent total collapse of the grid as unscheduled maintenance reduced output. 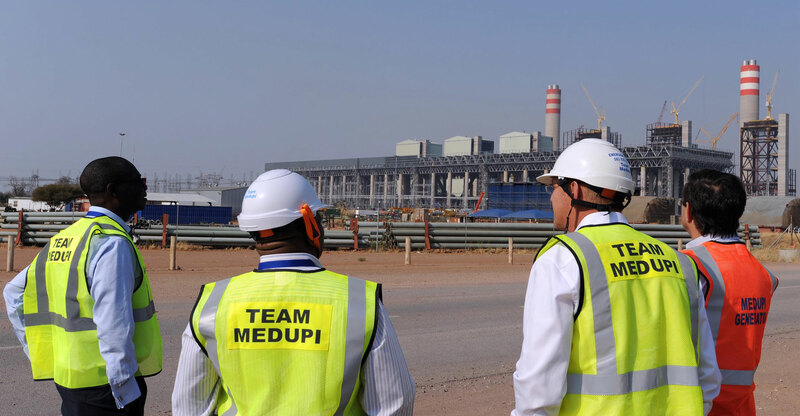 The Medupi and Kusile plants, which were supposed to add almost 9.6GW to the grid and be fully operational in 2015, are still years away from completion. Their projected costs have more than doubled to R292.5-billion. The return to blackouts compounds worries about Eskom’s precarious position and the threat it poses to the economy. It’s also an embarrassment for the ANC just three months ahead of national elections. Gordhan and Eskom chairman Jabu Mabuza have approached Enel, Italy’s biggest power utility, to provide technical help to assess the problems, and the company will send engineers to South Africa soon, the minister said in prepared comments sent by e-mail.